Welcome to the Walden Writing Center Blog! 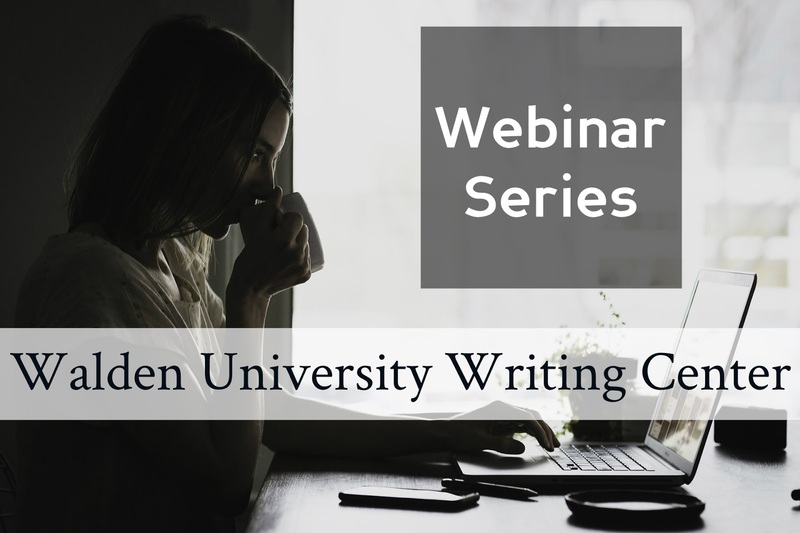 Each week on the blog, we--the Walden University Writing Center writing instructors & editors--publish a post about scholarly writing, APA style, course papers, the dissertation, book reviews, our WriteCast podcast, technology tips, & more to help you through your academic writing journey. We also feature spotlight posts highlighting Walden University.. 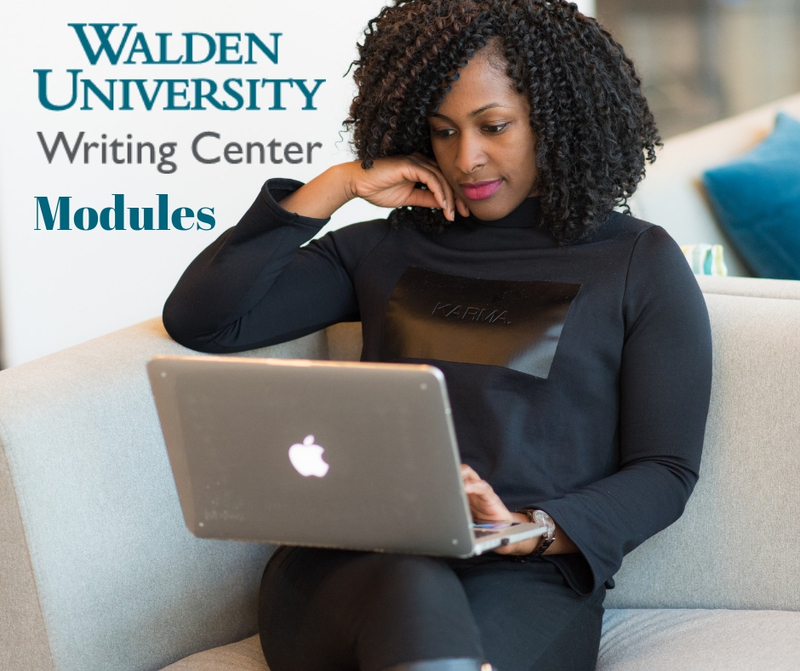 The Walden University Writing Center supports Walden University in its goal of providings a diverse community of career professionals with the opportunity to transform themselves as scholar-practitioners so that they can effect positive social change. When I used to teach in-person writing courses, I would sometimes comment on papers about questions I had as a reader. Every time my students would verbally answer the questions – their explanations made perfect sense. However, those ideas needed to be complete and clear in the writing. Unlike a conversation you have with a person, once you write something down, that is it! It is frozen, solid, locked-in. You can’t go back and expand or clarify. You can’t follow people around as they read your work telling them: “Well, what I meant was…” That’s why it is important to get your writing as complete as possible. A complete piece of writing is a developed piece of writing, and well-developed writing relies on the inclusion of relevant and plentiful details. But what counts as details? 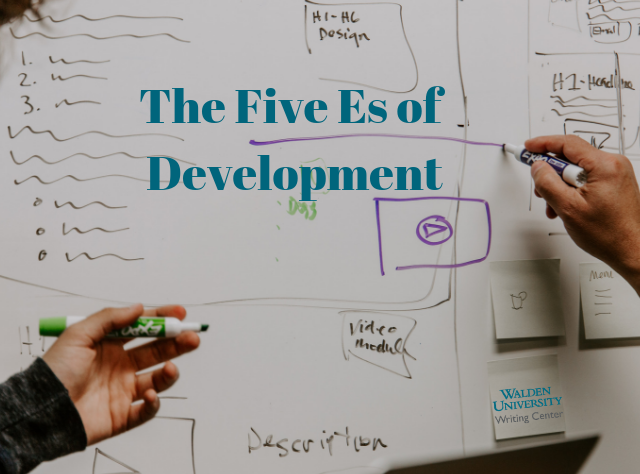 In today’s blog post, I would like to present the idea of the “Big Es” that I use to encourage Walden University writers to more-fully develop their ideas. Evidence includes details you have found in your research that are related to your topic, interesting, and that spark a response in you. These include statistics, data, or proof of some sort. Remember, you will be commenting on the research in some way, which is why it is important that this data or evidence means something to you. For example, in a paper about emergency room safety, a writer would want to include statistics that prove how safe (or unsafe) that environment is. If the writer wanted to prove that the emergency room in their city was unsafe, statistics and data showing a high rate of post-visit infections would do a lot of support that claim. Expert opinion can be a useful detail as it gives you a chance to engage in a conversation with the leading voices in your field. As a student writer, you are working on becoming an expert in your field. Eventually, you will be interacting with other experts. You can practice this in your course work by including expert opinion and then responding to it. Do you agree? Disagree? How does it relate to other content you have read? Additionally, it is possible to use experts to bolster your own opinion. It can be powerful to include expert opinion when that expert agrees with you. While we can’t solely paraphrase and quote experts over and over and expect that to develop our writing, if you find an expert who agrees with you, it is possible to point to them as proof that your thinking is sound. For example, if a writer was proposing a new health regulation, they could base their regulation on suggestions made by experts. It isn’t possible to be an expert on everything, so if this writer is an expert in legislation, they would need some help from experts in other fields to craft proposed bills, laws, and regulations. An example is helpful because it shows your topic in action. Examples are short summaries of something that happened at some point in time. They illustrate complex theories or ideas that are hard to see otherwise. If you are writing a narrative or personal reflection, you will likely want to include some examples from your own life and work. As you describe what happened to you, you will then be able to follow it up with analysis about why it is important, what it reveals, or how it inspired you. Note that you can also include examples that you read about in your research; case studies are common examples writers include. For example, in a paper that looks at the pros and cons of different instructional strategies, the writer may want to use examples from their own classroom to illustrate the challenges and benefits they saw. These examples could be paired with other examples and results found in the research as well, which would work together to develop a comprehensive look at those instructional strategies. I know that this is redundant, but explanation is where you get to explain. Try to answer questions like: What does this mean? Why is it important? What is significant? Who should care? How can someone use this information? If you can walk the reader through your flow of ideas by providing a step-by-step guide to your logic, the reader is easily able to see where you are coming from and may be more likely to agree with your final argument or conclusion. 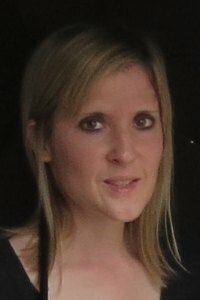 For example, in a paper about how organizational leaders can capitalize on the strengths of their teams, the writer would likely define what it means to capitalize on strengths, present research and expert voices on this strategy, and perhaps even share examples of how they have done so in their own work. Following this, the writer could explain why it is important to capitalize on strengths in that way. Explaining how and why can help your reader follow along. Ok, ok, ok, energy isn’t really a concrete thing you can include in your writing. It can’t be found in a source or typed in a document. However, energy matters because you can have a thousand details, but readers can tell if your passion and energy are missing. Reading something where the writer’s interest shines through makes it more engaging for the reader as well. If you don’t have an interest in your topic, it’s a good idea to see what parts of it you can shift so that it is interesting to you. For example, if a student has to write about counseling strategies they could use with a specific hypothetical client, the student could see if they can choose which client to write about. They could also review all of the counseling strategies to pick the one(s) they feel the most passionate about. Either of these would help bring more of their energy and excitement to the writing. These Big Es can help remind you of all the content out that that you can include as details or evidence in your paragraphs. Feeling stuck in the middle of drafting can be frustrating, so turn to this list to see if inspiration hits in terms of finding a new type of detail to include. If you want to spend more time thinking about your paragraphs and development, consider working on our paragraph development module or watching our webinar on building and organizing academic arguments. Melissa Sharpe is a Writing Instructor in teh Walden University Writing Center. Her favorite part of working with writers is helping to facilitate the writing process. We have some great webinars coming up in April! Check out a live webinar with one of our writing instructors to learn more about our paper review appointments, nuances of APA formatting and style, paraphrasing, and synthesis. We'd love to have you join us! It could be the Type-A side of my brain, but I love organizing and filing any and all things. I just moved into a new (old) apartment in a Victorian mansion-turned-condo building, and the unpacking and organizing has been so fun! My favorite features of the new apartment are the 15-foot built-in cabinets in the hallways. I just finished meticulously organizing every inch of their shelves. My towels have their own shelf. My cleaning supplies have their own shelf. My favorite pairs of shoes, tucked inside their original boxes, have their own shelf. It is so satisfying! I get this same thrill of satisfaction from working with APA references. Are you rolling your eyes at me yet? I genuinely enjoy the puzzle of categorizing a text to determine its style of reference, and from there, formatting and building my reference list. In my experience, few people get any enjoyment from this tedious task, but I don’t mind at all. 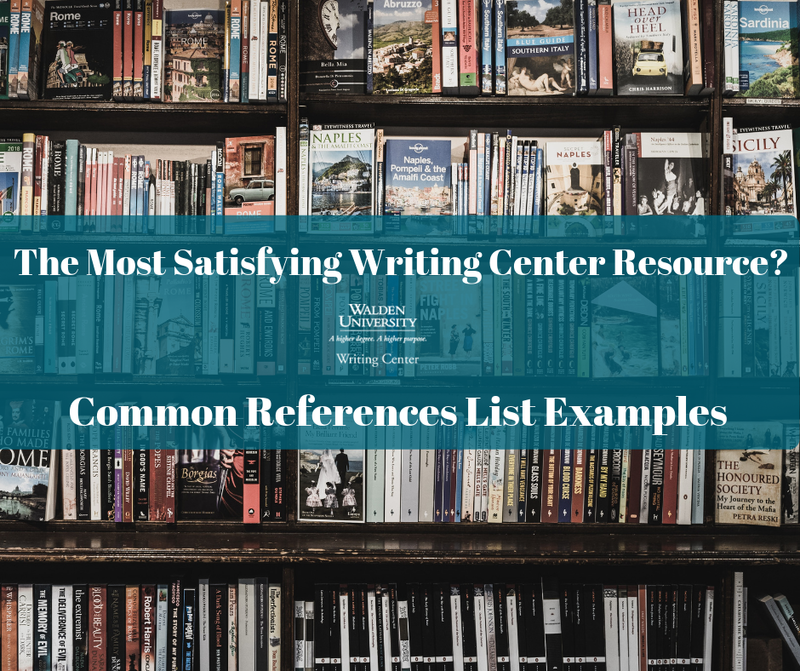 The Common Reference List Examples page is my favorite Writing Center resource because it makes categorizing and formatting my references a total breeze. The page is laid out with an index of alphabetized reference categories on the left side of the page, while the rest of the page provides examples of references for each category, notes on any formatting or content nuances, and links to our other resources that support the specific type of reference. To demonstrate how to use the Common Reference List Examples page, I’m going to try categorizing the PDF Taking Part in Cancer Treatment Research Studies. Looking at this text, it’s not clear right away how it should be classified. When I have a mystery text such as this, I first try to identify the following: author, publication year, title, method of publication, and any additional identifying information. The author of this text is the National Cancer Institute, a division of the National Institute for Health—a government organization. The very last page lists a publication date of October 2016, in addition to a publication number, which seems important. I know the title of the document, and I have determined the publication method is a PDF. Based on this information, I can rule out most of the categories from the list on the left-hand side of the Common Reference Examples page. The document is not an academic article or book, nor is it a regular web page because of its PDF form. However, the category of “Technical and Research Report” seems promising. The notes for this type of reference state, “Technical and research reports by governmental agencies and other institutions…”— this is the clue I need! The reference example under this category also includes a report number—a second helpful clue! The category of Technical or Research report is a perfect fit—so satisfying! Determining which category your research materials fall under will usually be more straightforward. Most peer-reviewed articles can be categorized as an Article with URL or Article with DOI categories. The categories Walden University Course Catalog and Course Materials are very common as well. If the Common Reference Examples List were a cabinet, you can bet there would be a shelf for each reference list category. Tasha Sookochoff is a writing instructor in the Walden University Writing Center. Along with earning degrees from the University of Wisconsin, Stout and Depaul University, Tasha has written documentation for the U.S. House of Representatives that increases government transparency, blogged for DePaul University, copy-edited the Journal of Second Language Writing, tutored immigrants and refugees at literacy centers, and taught academic writing to college students. The MEAL plan can be an insightful and helpful tool for creating effectively organized paragraphs that have both a single focus and an even balance of outside evidence and your own analysis and synthesis. 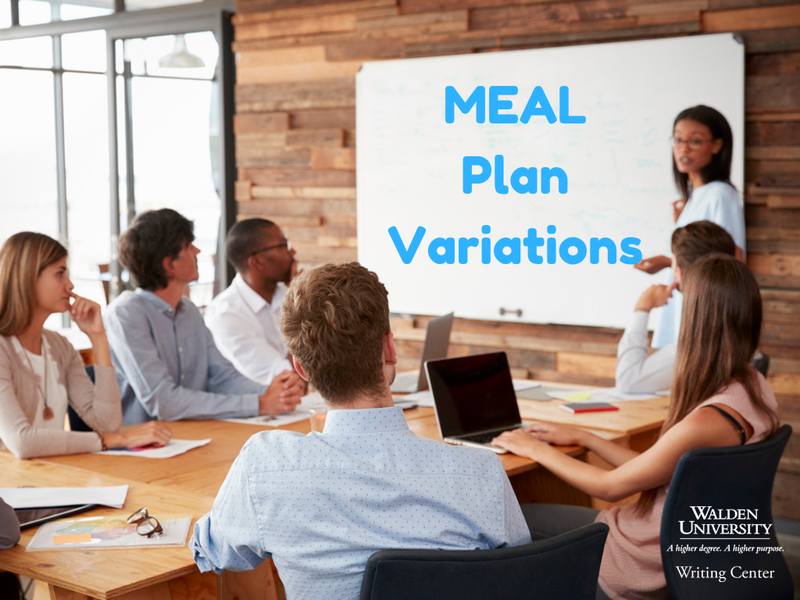 In other words, when your mind is still filled with questions of how to get your ideas down on the page, the MEAL plan makes it easy to ensure this information is communicated in a concise, organized, and scholarly manner. You might consider it like a foundation upon which to build the presentation of your ideas. However, it is important to remember that the MEAL Plan is a general model. It does not often translate to a perfect, four-sentence paragraph with a sentence dedicated to each aspect of the MEAL plan. If only, writing could be that neat and tidy! More often, academic paragraphs require additional space and flexibility to address an idea fully. As a result, how the MEAL plan comes to be applied to your writing and what it looks like on the page can vary from project to project or even paragraph to paragraph. Therefore, the goal of this blog post is to explore a few examples of how the MEAL plan might be applied. M- Utilizing Walden Writing Center’s resources is an effective way students can advance their writing skills and reduce stress. E- Mattingly (2019) reported that students often come to the Writing Center lacking confidence but walk away with greater knowledge and awareness of their writing abilities. A- This recommendation highlights students’ potential to advance their writing skills through the Center’s resources and reflects a welcoming environment of instruction and learning. E- Philbrook (2019) similarly noted that many students find the Writing Center a safe place to explore writing anxiety and locate related resources on writer’s block, mindfulness, and self-reflection. A-Each author highlights a unique way Walden’s Writing Center works with students to develop stronger writing skills and reduce stress. L- The Writing Center, in this regard, can have a meaningful and healthy impact on students’ scholarly writing skills and overall wellbeing. In this example, there are various places where the E-Evidence and A-Analysis components of the MEAL Plan appear. By taking this approach, you can demonstrate a greater level of critical thinking and engagement with your source material, as you take the time to explain the meaning of all evidence before moving ahead to incorporate additional research that advances and strengthens your argument. This approach can work well for assignments that require comparing or contrasting or identifying common themes in the existing research as is common to literature reviews. M- The Writing Center’s paper review service is a vital resource for Walden students seeking to become not only better writers but also scholarly communicators. PE- Upon enrolling at Walden, I contacted the Writing Center to learn about resources available to students and was invited to set up a paper review appointment. 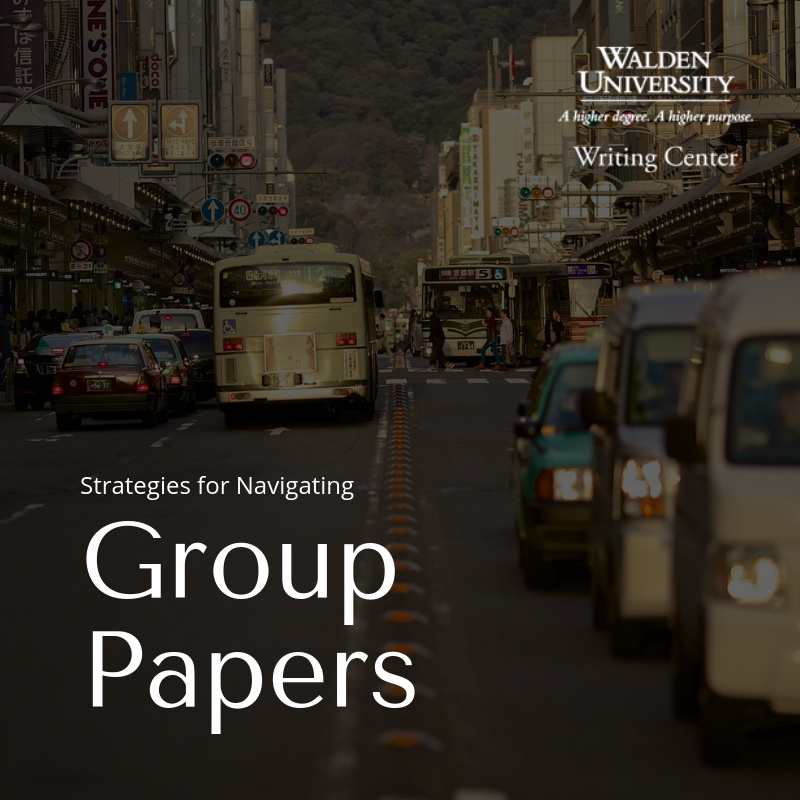 E- These paper reviews, according to Walden’s Writing Center (n.d.), are designed to “help students develop their academic writing skills as emerging scholars and encourage students to engage in an ongoing writing process” (para. 4). A- The Writing Center promotes an environment where students’ writing projects are viewed as part of a larger process of professional and scholarly development. 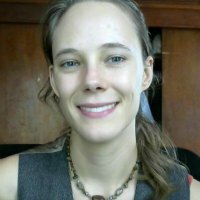 PE- Though reluctant at first, I quickly found the paper review service to be an invaluable experience in my growth as a scholar because I received personalized feedback that highlighted patterns in my writing style and made me more prepared to communicate my research. L- The Writing Center’s paper review service helps students see how daily writing projects relate to an ongoing process of scholarly development and communication. It is quite common in coursework for you to be asked to draw on your own experience and analysis in order to present argument. Making sure to support your experience with evidence is essential to demonstrating how your ideas and expertise aligns with the existing research and can boost the overall credibility of your claim. The MEAL plan would likely be applied differently in this case; however, it is still beneficial in making sure all the required elements are present. Thus, in the above example, the main piece of E-Evidence is introduced not only after the M-Main Idea but also a personal account. It is then followed by more in-depth A-Analysis and L-Lead out sections. How ever you come to apply the MEAL plan, be sure to make it your own. 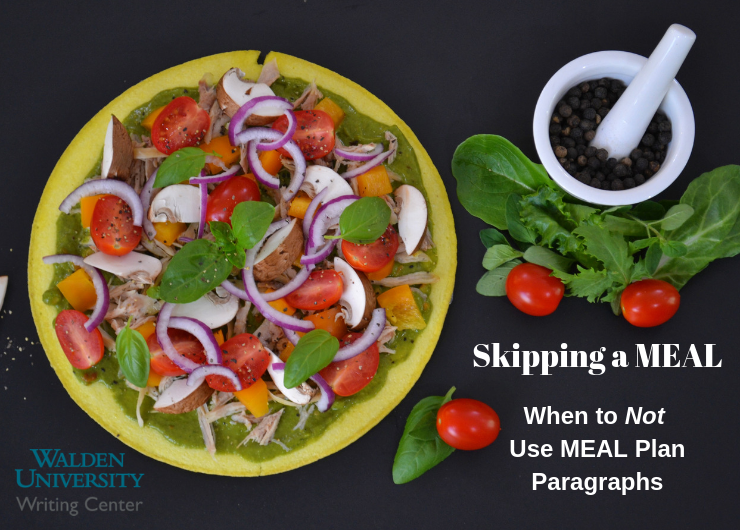 The MEAL plan may not be appropriate for all academic paragraphs, so make sure you understand its limitations and follow up with your instructor if you have questions about its application to an assignment. The most important thing to remember is the MEAL plan is not designed to be a hard and fast template that should be applied exactly the same way to each paragraph in your project. Rather, it is a flexible writing tool intended to make the principles of scholarly writing easier to spot and incorporate into your writing. As such, you should feel encouraged to experiment with the varied applications of the MEAL Plan. In fact, doing so will make you a stronger scholarly writer as you gain greater familiarity with the core components of an academic paragraph and move fluidly between them as you write. 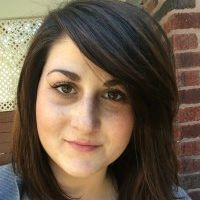 Miranda Mattingly is the Manager of Writing Instructional Services and a former Writing Instructor at the Walden Writing Center. 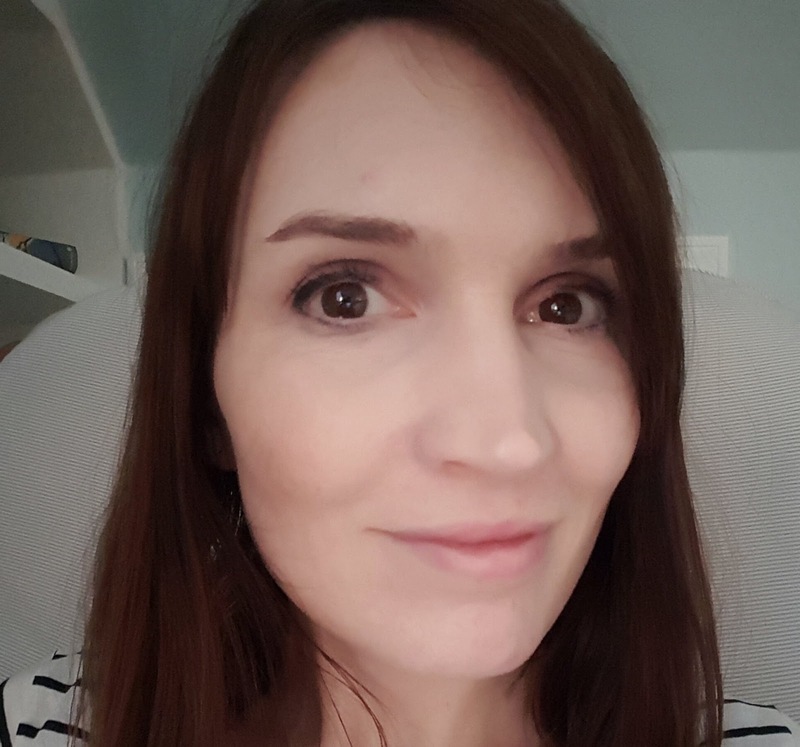 When working with students, her primary focus is on encouraging students to have confidence in their skills as writers and to cultivate their voices as critical thinkers in an increasingly global community. Looking to test and practice your knowledge of sentence structure or grammar? How about your knowledge of APA and avoiding plagiarism? In addition to many of our web pages that provide “knowledge check” links for students to test their writing knowledge, the Writing Center also has interactive modules on several different grammartopics, sentence structure, APA style, plagiarism prevention, and even paragraph development and transitions. You can access our modules at any time, so check out one or more of our modules today! Once you check out our modules, tell us what you think—what modules did you try and how have they helped you continue to practice and test your knowledge of writing and APA?